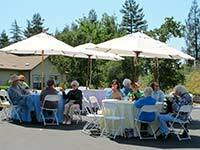 The Healdsburg Garden Club is a volunteer organization that meets on the third Monday of each month, September thru June, at the Villa Chanticleer Annex, 860 Chanticleer Way. 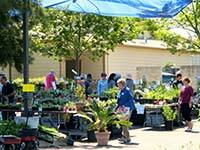 Programs include speakers from all aspects of gardening. Refreshments, including home-made treats, coffee & tea, are served at each meeting. 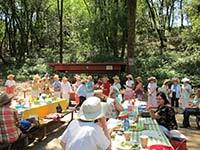 Special events include a holiday party in December, a plant sale in May, and a picnic for members in June. Visitors interested in gardening are welcome to attend. Membership is $40 per year. 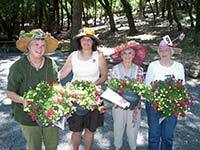 Members participate in local beautification projects and volunteer for community events. Each year, we honor local residents and businesses with our "Good Gardener" award for excellence in garden design and presentation. Our scholarship program assists local students in their horticultural education. $3,000.00 is designated for scholarships this school year.